A gem in the Ozarks, hidden from the elements and kept a comfortable 58 degrees year round, Springfield Underground is home to 55 acres of commercial space. Springfield Underground is commercial real estate located 100 feet below ground in a cave. Its unusual location serves as a natural protector for its occupants. 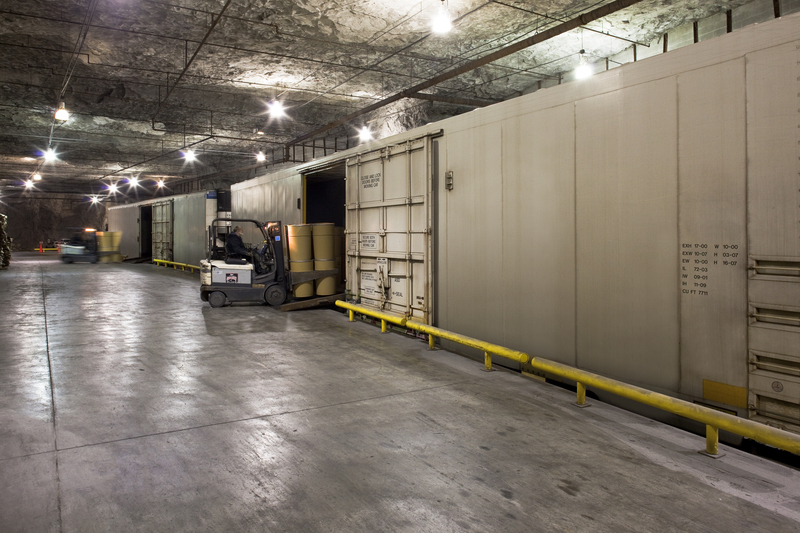 Originally a limestone mine, the facility is 2.4 million square feet. The facility lists warehouses, laboratories, food storage, records storage, and data centers as tenants. One of those companies is Kraft Foods. Kraft started making products in Springfield 75 years ago and continues to stay in Missouri, in part because of Springfield Underground and the space’s ability to save the company utility costs. The climate-controlled space is cooled to perpetual 36 degrees to store Kraft’s refrigerated products and ingredients. After Kraft products are made at the plant in Springfield, they are shipped to the underground facility. Consumers’ favorite cheese products made at other plants are also shipped to Kraft’s storage at Springfield Underground. Before being picked up for distribution they are combined with the Springfield products to form full loads of shipments for customers throughout the Midwest.